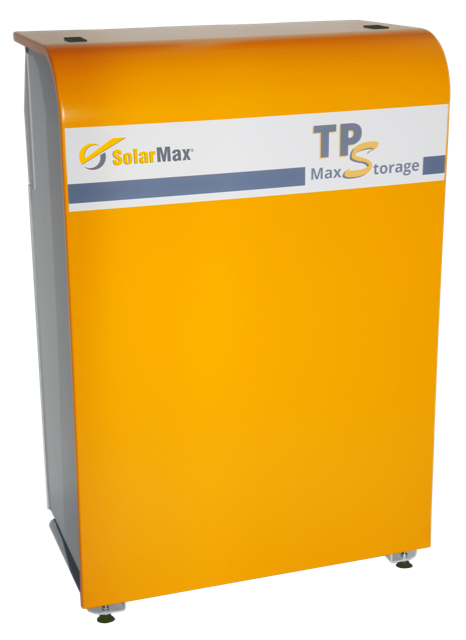 According to the motto “Smarter, Lighter and more Compact” the MaxStorage TP-S will be a very appropriate solution for private applications. We are looking forward to some personal exchange with our customers. Also, we wish to introduce our new Key Account Manager Mr. Jan Berger, who works for SolarMax Sales and Service GmbH since March 1st. We are proud to present our new modular storage system solution MaxStorage TP-S. According to the motto “Smarter, Lighter and more Compact” the MaxStorage TP-S will be a very appropriate solution for private applications. Thanks to its modular design it is always possible to retrofit a DC converter and battery pack, whereby the rated capacity of each battery module is 2.3 kilowatt-hours. Up to a total of four batteries can be added, enabling a rated capacity of up to 9.2 kilowatt-hours. To fill up the gap in our product range, we developed the three-phase inverter models 20HT2, 20HT4, 25HT2 and 25HT4 for our HT-series. So, our HT-series now provides performance classes of 20, 25, 30 and 32 Kilowatts. We are interested in both the development of the solar industry and current trends and innovations regarding storage systems and inverters. We are going to attend to the educational sessions as visitors but we are not involved as speakers. We hope that a lot of visitors are going to come to our booth and that we will get a valuable feedback by our customers. We are looking forward to some successful conversations with our customers in our “MaxCafé”.